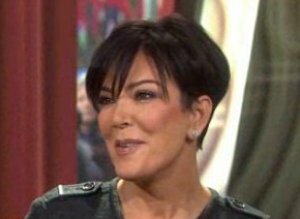 “Khloe Is Having Hard Time With Divorce”-Kris Jenner Speaks! My Insights on Divorce! Divorce is a difficult process. Heartache takes time to heal. Self reflection and love from friends and family is encouraged. Fortunately, Khloe has a large close-knit family to shower her with love and support. Through social media outlets, Khloe has kept herself busy promoting the family’s businesses and her own brand as well as keeping in the company of family. It has been well over a year, since the decision was made to dissolve my marriage. Now reflecting there is a cycle that I went through and my journey continues. I was faced with various emotions. This included the feeling of failure, understanding and acceptance of my situation, followed by empowerment, relief, coming to terms with my new reality, depression, regaining independence and seeking happiness from within. While, I am comfortable with my status and have move forward with my life the various emotions resurface from time to time. This could be sparked by life’s hurdles living as a divorcee. The journey in accepting a break-up, divorce or demise of any relationship that is a major part of your life can linger. However, moving on and not allowing the past to define you is imperative. When a situation does not work out, it was not meant to be. Cherish the positive memories and use the experience to build you into a stronger person. Grow from past mistakes and decisions and help to empower your independence as a happily divorcee. Previous PostAnother Celebrity Couple Disintegrates: Hilary Duff and Mike ComrieNext PostLife As A Super Single Mom- Not Always Easy!